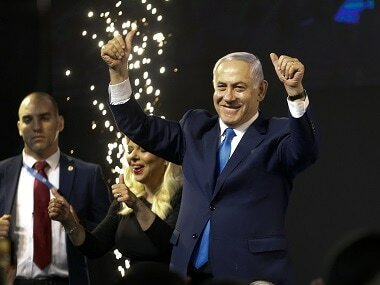 Jerusalem: Prime Minister Benjamin Netanyahu secured path to victory in Israel's election on Wednesday after nearly complete results put him in position to form a right-wing coalition and further extend his long tenure in office. 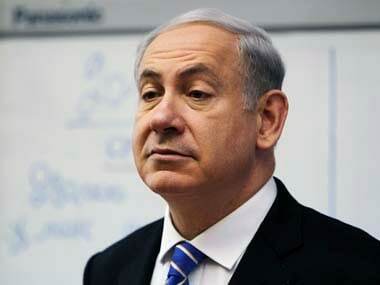 "His Likud party looked set to finish with a similar number of seats in parliament to his main rival, ex-military chief Benny Gantz's centrist Blue and White alliance," Israeli media reported. The results would seem to leave President Reuven Rivlin, whose task it is to ask one of the candidates to form a government, with little choice but to pick Netanyahu. 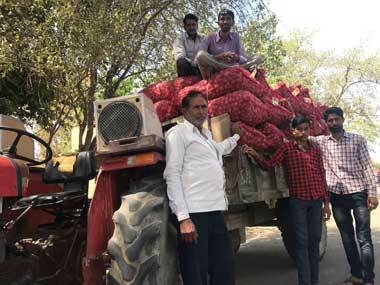 Intensive coalition negotiations will follow and could drag on for days or even weeks. Final results were expected by Thursday afternoon, with ballots for soldiers and other special categories of voters yet to be counted. The close race between the two main parties had led to uncertainty after polls closed on Tuesday night and exit surveys were released. Both Netanyahu and Gantz claimed victory after the initial exit surveys that gave Blue and White the most seats. But even then Netanyahu appeared best placed to form a coalition, with both parties in any case falling far short of an outright majority. As he walked onto the stage to chanting crowds, he planted a kiss on the lips of his wife Sara. "It will be a right-wing government, but I will be prime minister for all," he said. Earlier while addressing cheering supporters who waived Israeli flags at an event hall in Tel Aviv, Gantz called it a "historic day." Speaking to journalists outside his home on Wednesday morning, Gantz said "we’re waiting until the end of the results." The vote had long been expected to be close, even with Netanyahu facing potential corruption charges. 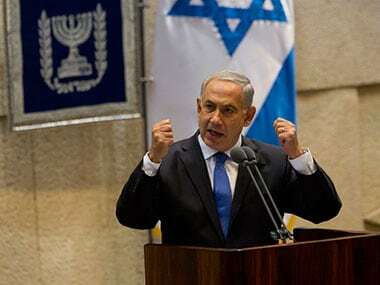 Fighting for his political life, Netanyahu spent the weeks ahead of the vote campaigning furiously to energise his right-wing base. He engaged in populist rhetoric that critics said amounted to the demonisation of Arab Israelis and others. Netanyahu faced further criticism on election day when members of his Likud party brought small cameras into polling stations in Arab areas. Extending Israeli sovereignty on a large scale in the West Bank could be the death knell to already fading hopes for a two-state solution with the Palestinians. It is a move long championed by Israel's far right.